Crash on Demand or how to opt out the corporate fascism. After Denmark, Warsaw and, soon, Paris conferences, I am totally convinced that there is no hope to stop the coming collapse. 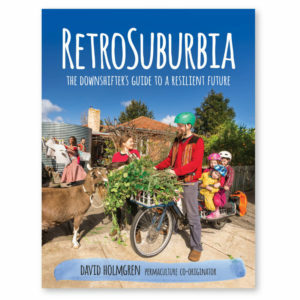 Having said this, I see permaculture as the best way to shorten the interregnum of collapse and provide a sustainable, respectful way to recover coming out on the “other side”. In the meantime, I am digging ponds on my 10 acres, building my infrastructure, and helping build a local,sustainable community. I’ve recently seen the Permaculutre Doc directed by Donna Read. A couple of quick comments on your new essay. 1) the criticism of the US (and soon to be world) shale oil boom (note 4 in the essay) was not by a qualified person, and has already been shown to be inaccurate. It is a fact that many shales are full of hydrocarbons, and that the development of the technology required a lot of searching the ‘adjacent possible’ (see the book “where good ideas come from) by a several oil independents (see “The Frackers” book), and this was an expensive and risky business….essentially only undertaken due to desperation (which seems to be a capitalist phenomenon more than government one). It is also a fact that up to 50% of the rock in any particular geologic basin (see the wiki articles) are shales (vs. sandstone, etc.) The amount of rock in all of the world’s basins is massive. The important point here is that horizontal + fracked wells are very expensive, and require high oil/gas prices to pay for them. “High” is relative, but if the oil is there and worth $200/bbl, it doesn’t take a very efficient well to pay for that. 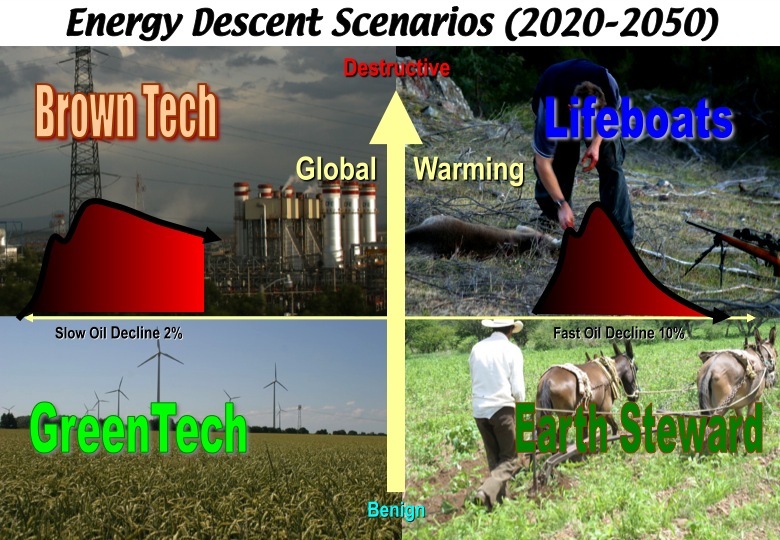 So it is highly likely that oil produced from horizontal + fracked wells will be limited by the price of the oil (and not much else), that is until this technology has been fully deployed… possibly many trillions of dollars from now. 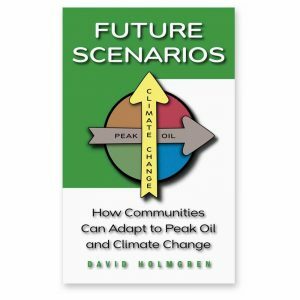 I was trained as a petroleum engineer in the early 1980s and was somewhat surprised by these developments, based on what I was taught and saw in the 1980s and 1990s, but I know better than to argue with demonstrations in the field with arguments based on theory and stories from old text books. I have seen enough to not love the oil business, but I have learned to accept that there a lot of people that are clever, highly motivated, willing to take risks, and can see things that I can’t, given where they are in the ‘adjacent possible’… and their lack of interest in sharing their knowledge with the likes of me. 2) The above point has no force except in relation to time. Nothing is different but the number of years it will take to get past the ‘fossil fuel era’. This is manifest. But it is also possible/probably that many clever, highly motivated people with be able to come up with things unforeseen in our ‘planner’s droop’ oriented philosophy. Have a look at the many variants on fusion being pursued, from polywell and it’s kin to good-ol LENR. Failing success in one of these high-risk ventures, and given where I live in New Mexico, USA, where there is almost as much sunshine as in Australia, I am pretty sure that solar panels can go a long way to a stable energy consumption picture, at least everywhere that is not dramatically energetically overpopulated (see the David MacKay TED talk) such as the UK and most of the rest of Europe. The simple reason is that energetically, solar panels are a positive energy return item, i.e they return 4-5 times their energy investment. (See the “Do the Math” blog for more). There is no reason to believe that they will not continue to be built in large numbers until something better has come along…. the solar panel technology is easy and well understood. It’s not going anywhere. At worst, we will have to rearrange our consumption to better fit the 5 hours of high solar power availability, and a lot of people will have to move to the desert, but this assumes failure to develop liquid batteries (see the TED talk by Donald Sadoway). This is far from a full-on descent scenario. As far as your politics goes, try reading “The Righteous Mind” to better understand the range of political ‘tastes’ and conservative institutions such as property ownership and where they come from. It never hurts to be informed… it’s what you don’t know that hurts you. I am sympathetic with people who are afraid of the future and want to be prepared…. this is the only strategy worth considering, given our lack of advancement over the ant and the grasshopper in the old tale. Nicole Foss has published a follow up response to “Crash on Demand” at her automaticearth website, titled “Crash on Demand? – A Response to David Holmgren”. Transition founder Rob Hopkins has published his critique on “Crash on Demand” on his Transition culture website. Albert Bates (optimistic collapsenik) charted a number of well known “collapseniks” including David Holmgren. Tune in to hear what Holmgren got to say. Whether a problem can be solved–or whether it’s even worth solving–often depends on how you define the problem. So, “thank you.” One way our global “problem” can be defined, is by individual suffering and happiness, and your work has helped me to personally transcend a great deal of suffering to find happiness and contentment. Most obviously, you have helped me to start building my own beautiful, resilient, low-impact way of life, with a rewarding connection to nature that I couldn’t have imagined 10 years ago. 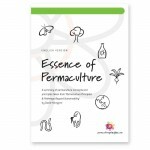 But your Permaculture Principles have also helped me to reconnect to my career as a classical musician in a way that turned burn out (literally, personal energy depletion) into regenerative activity. I try to be “worthy” of that “solution” by paying it forward. No matter what the future brings, this “problem” will continue to be worth the attention of Permaculturists. As nature solves its problems through “random lateral exploration,” we may need to beware of a Permaculture that has become just another part of the status quo. While it’s good that Permaculture can reach out to “mainstream” constituencies, some part of Permaculture needs to be positioned to attract a next-generation counter culture, as these natural social critics are always the engine of real social change and innovation. And they are the most likely to act upon Permaculture in meaningful ways that will create truly valuable models for the future, as opposed to the conservative farmer in my county who “practices Permaculture” because he uses mulch whenever he can. THAT is a “Permaculture” that’s ready for its long sleep in the compost heap. I see that I am the “problem,” when I define the “problem” as I did above. It is just my own ability to accept inevitable change as the world adapts to its most headstrong children. But each person, each ecosystem, each being… these are true victories to be had. Ah, I just realized that we “value the marginal” when we appeal to the “edges” of society, rather than its narrow “mainstream.” Yes, that “edge” is the most productive part indeed. I think it’s very unlikely that we will plan our way out of the predicament we’re in. People just aren’t like that. We generally respond to events and situations that have already arrived, not ones that might happen at some unspecified future date if we don’t change our ways today. In any case I don’t think there’s any possibility of a ‘soft landing’ on a planet with 7 billion people, half of whom live in cities, which are almost the definition of unsustainability. We know that there are ways to lead a much more self-sufficient and sustainable life than the typical ‘first world’ person enjoys today, but that requires access to a significant area of land for producing food and materials. Permaculture and low-impact living are a great way for individuals to improve their own resilience and self-reliance but billions of people have no chance of choosing this path because they have no land. Since we’re in overshoot, I assume that the population will decline due to conflict, famine, disease etc. – the factors that have kept population in check for many thousands of years. All I can really do is try to plan ahead for myself and my family.